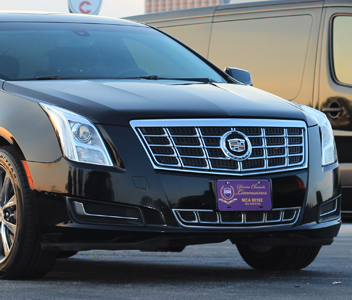 Divine Chariots Limousines is a luxury ground transportation company located in Atlanta Georgia. DCL's mission is to provide its clients with a professional, reliable transportation service. We strive to be a valuable competitor in the marketplace. The aim of DCL is to offer the best in ground transportation through providing the latest luxury, specialty, foreign, and domestic vehicles. Our vehicles range from Luxury Sedans and SUVs, Sprinter Vans and Grech Mini-Buses. DCL's focus is on service, product and image - it's core competencies. Within this core, DCL also focuses on integrity, excellence and constant improvement. Since DCL’s inception in 2005, Khari has seen great success as an entrepreneur – with a rapid expansion of his fleet and clientele. Khari has 18 years of experience in the ground transportation industry. He's gained most of his training from a ten-year journey with one of the largest rental car companies in the world. During his time in corporate America, he expanded his leadership skills to become an effective leader and asset to the company through his numerous management positions. He held positions as Management Assistant, Assistant Branch Manager, Branch Manager and Area Rental Manager. In 2002, he became the first African-American Area Rental Manager in the Atlanta Group’s West Region. In addition, he served as a mentor in the company's employee mentoring program and was a representative in the company's Black Executive Exchange Program (BEEP). 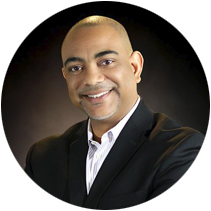 Khari is a member of the National Limousine Association (NLA), The Minority Limousine Operators of America (MLOA) and has been an active member in his church, New Zion Christian Church, in Suwanee, Georgia for the past 19 years.